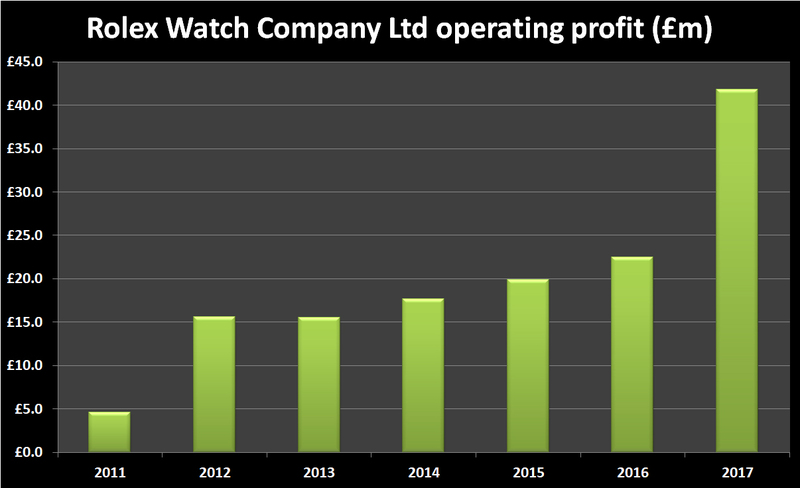 Sales for The Rolex Watch Company Ltd., the UK business responsible for distribution, service and support for Rolex and Tudor in the UK and Ireland, topped £329m in 2017; up from £268m in 2016. 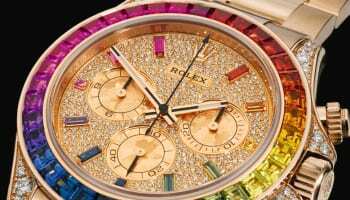 The turnover – which represents growth of 23% year-on-year – is based on the wholesale prices Rolex and Tudor’s authorised dealers pay the company. 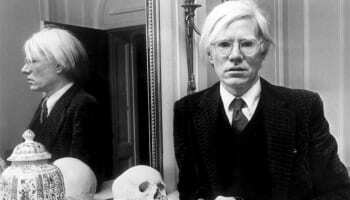 Sales at retail are certain to have exceeded half a billion pounds for the first time. Operating profit soared by 86%, from £22m in 2016 to £42m in the year ending December 31, 2017, as the brand reported its strongest ever set of financial results in the UK. 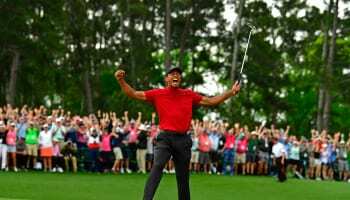 Such solid growth in sales and operating profit will be particular pleasing for the directors, as both are regarded as “key” KPIs for the company. They attributed the growth to “a combination of factors including in improvements in mix, price, volume and a control on the growth of operating costs”. 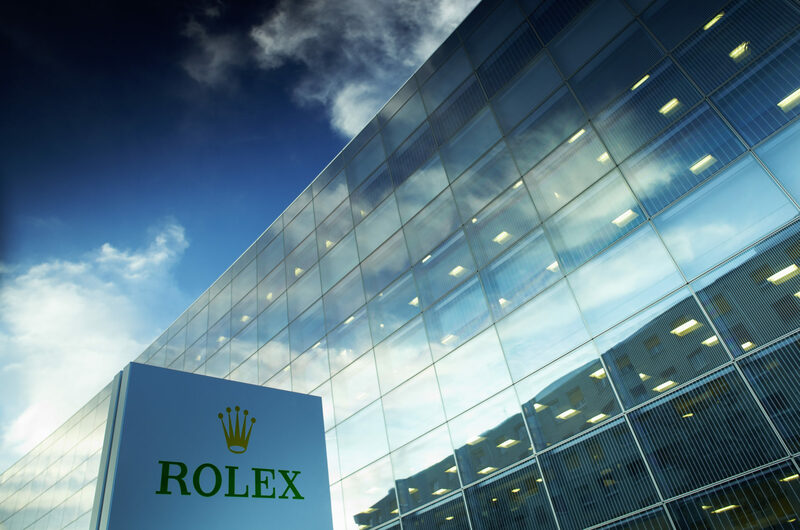 Rolex UK ended the year with a net profit of £33.5m, up from £17.6m the year before. A dividend of £20m was paid to shareholders during the year, along with an interim dividend of £25m for 2017. The final dividend paid during 2016 was £8m, according to the report. The directors stated that competitive pressure in the UK remained a “continuing risk” for the company, but said it manages this by providing added value services to customers, having fast response times in terms of product supply and handling customer queries, and by maintaining strong relationships with customers. The vast majority of Rolex UK’s sales naturally come from the UK market, but analysis of turnover by geographical segment reveals that it did generate 2.5% of its revenue (£7.7m) from what it termed ‘Rest of Europe’ last year. 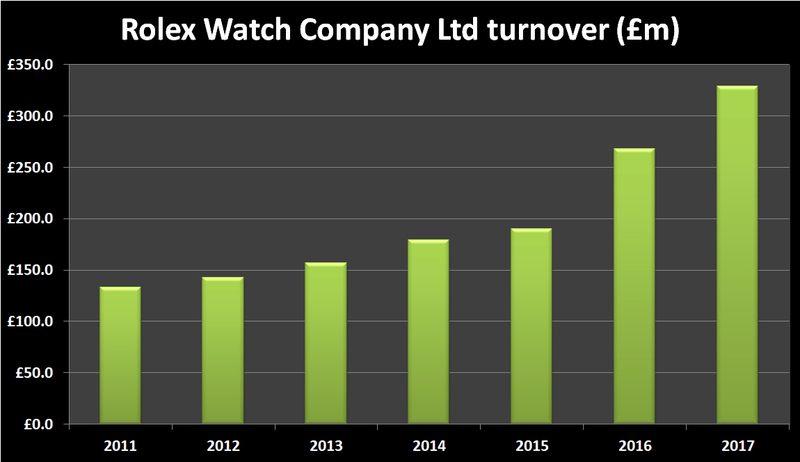 Rolex employed 191 employees in the UK as of the end of December, up from 171 the year before. As a result, staff costs rose from £10.9m to £11.2m in the year. Rolex’s UK business is a wholly-owned subsidiary of Rolex Holding SA, incorporated in Switzerland, and functions as part of the group’s distribution and and watch servicing operations.